The Decemberists' Colin Meloy Plays Not My Job The Decemberists' name was inspired by a short-lived rebellion in the Russian army in the 1820s. We've invited lead singer and songwriter Colin Meloy to answer questions about three other obscure protests. True story: During the 2008 campaign, then-candidate Barack Obama came to Portland Ore., and drew more than 100,000 people to a rally. One conservative commentator suggested that the crowds really came out for the free concert that preceded Obama's speech ... by a rather popular local band called The Decemberists. And really, who can say? The Decemberists' name was inspired by a short-lived rebellion in the Russian army in the 1820s against the chosen successor to the czar. We've invited lead singer and songwriter Colin Meloy to play a game called "Hell, No We Won't Do Whatever It Is You Want Us To!" Three questions about obscure protests. PETER SAGAL, host: And now, the game where we take cool people and make them finally do something unpopular. It's called Not My Job. This is a true story. During the 2008 presidential campaign, then candidate Barack Obama came to Portland, Oregon and drew almost 100,000 people to a rally. And one conservative commentator suggested that the crowds there really came out for the free concert that preceded Mr. Obama's speech by a rather popular local band called The Decemberists. SAGAL: And speaking as a fan of the band, the guy might have had a point. 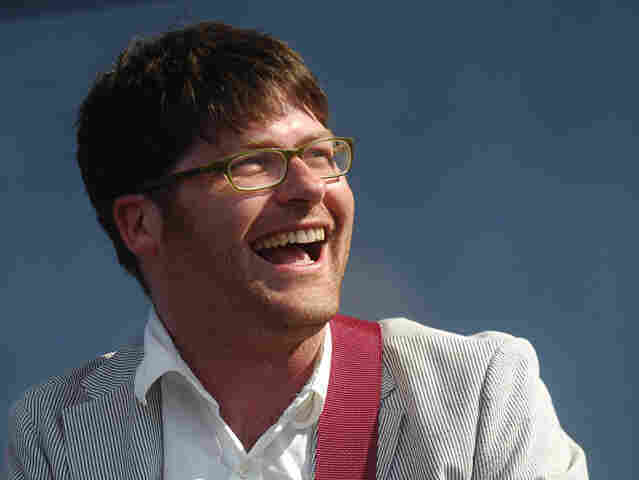 Colin Meloy is the lead singer and songwriter of The Decemberists. Colin, welcome to WAIT WAIT...DON'T TELL ME! SAGAL: Great to have you. MELOY: Pleasure to be here. SAGAL: Now, I know this is a terrible thing to ask a musician, particularly one with a big body of work, but for those people who have not been lucky enough to hear you, is there any way to describe your music, simply? MELOY: Oh god. You know, I say we play rock music. You know, I think it's just kind of the easiest blanket term. SAGAL: But that encompasses a lot of things. SAGAL: Well it's really heard. I mean, myself, trying to describe your music, which I love, it's like well, it's like, it's so good and there are trumpets sometimes. That's all I got. SAGAL: If you ask me. You're known for really complicated and fun orchestrations. You have a lot of instruments and a lot of complex musical things going on. And you're also known for really interesting and complex and literate lyrics. Here's an example of a Decemberist' lyric. It's from your latest album. "And the Andalusia tribes setting the lay of Nebraska alight, 'til all that remains is the arms of the angel, petty greed, queen of supply-side bonhomie bone-drab. You know what I mean.? MELOY: That's actually Hetty Green, Queen of supply-side. SAGAL: It's a reference to Hetty Green. Of course. SAGAL: Hetty Green, the late 19th century miser of New York City. Oh my god, she's a mainstay in pop music. MELOY: Wanted to correct you. SAGAL: All right, thank you. So Hetty Green would be the queen of supply. It's interesting, we're talking about rock and roll music. This could be a graduate seminar in English literature right now. ROY BLOUNT: Wouldn't Shecky Greene have worked just as well? SAGAL: And by comparison, here's a lyric from the massively popular Justin Bieber. SAGAL: I'm just sort of exploring here. It's baby, baby, baby, oh. MELOY: I could go for that. MELOY: I mean I think there's a lot to unpack there. SAGAL: By the time you get to the third baby, it's really taken on a whole new meaning, don't you think? BLOUNT: As the doctor said when he delivered triplets. SAGAL: People say that you have this big enthusiasm for Victorian literature and sort of themes of that period. MELOY: We do Edwardian too. SAGAL: Edwardian, oh excuse me. SAGAL: Oh god, I'm so embarrassed. SAGAL: Really? You do all that stuff. PETER GROSZ: They're as different as Andalusia and Nebraska. ROXANNE ROBERTS: May I ask a question? ROBERTS: If you hadn't become a musician, what would you think you would be? MELOY: Well, musician was my A plan. My plan B was to be a writer. So that was out of college. I pretty quickly realized it was kind of two bad plans to have. MELOY: Balancing, you know if the A plan didn't work out, well I'll just be a writer, you know. SAGAL: As to being writers, you in fact have published, if I'm not mistaken, your first novel. It's a young adult book called "Wildwood." This is exciting. It's really fun. I've read it. It takes place in a magical kingdom, filled with adventure and mystery and danger, except unlike - it's not Narnia, it's right outside Portland. SAGAL: It's called the Impassible Wilderness. MELOY: Yeah, basically people here will know there's a 5,000 acre park here in Portland called Forest Park. MELOY: And it is really such a remove to walk into the woods. I mean you really do feel like you've left Portland. You've left, you know, the country, you've left the world. SAGAL: And if we were to go there would we find, for example, coyotes in uniforms with rifles? MELOY: You may, you may. SAGAL: Okay. I mean, one thing I noticed - I was reading the book and really enjoying it - is that for a kid's book it has a pretty high body count. SAGAL: Yeah. And I thought maybe you were like reading Harry Potter and you were going, this is good, but you know what it needs? It needs artillery. MELOY: Well, you know, as a writer for that age group, I guess all you can do is base it on your own experience and the stuff that you liked when you were that age. And, you know, when I was in second grade, I actually wrote a play called "The Bloody Knight." MELOY: And I think the body count was really high. MELOY: In fact, I don't think anybody survives in the end. SAGAL: I love this. We went over your own Tumblr site and you had posted an Amazon user's review of "Wildwood," your book, and I'll quote it. "I give this book a very strong no for a vast swath of readers. Unless you are a communal hippie, chomping on granola, worshiping the Earth Mother, and planning on inciting violence to destroy the society you rejected long ago," unquote. MELOY: I think it's pretty fair. MELOY: Yeah. I was sort of astounded to see that. I thought it was as good a review as it could possibly get. GROSZ: You know, now that I hear my words written back like that, I apologize. GROSZ: That was harsh. That was really harsh. SAGAL: Well, Colin Meloy, we are delighted to have you with us. We have asked you here today to play a game we're calling? 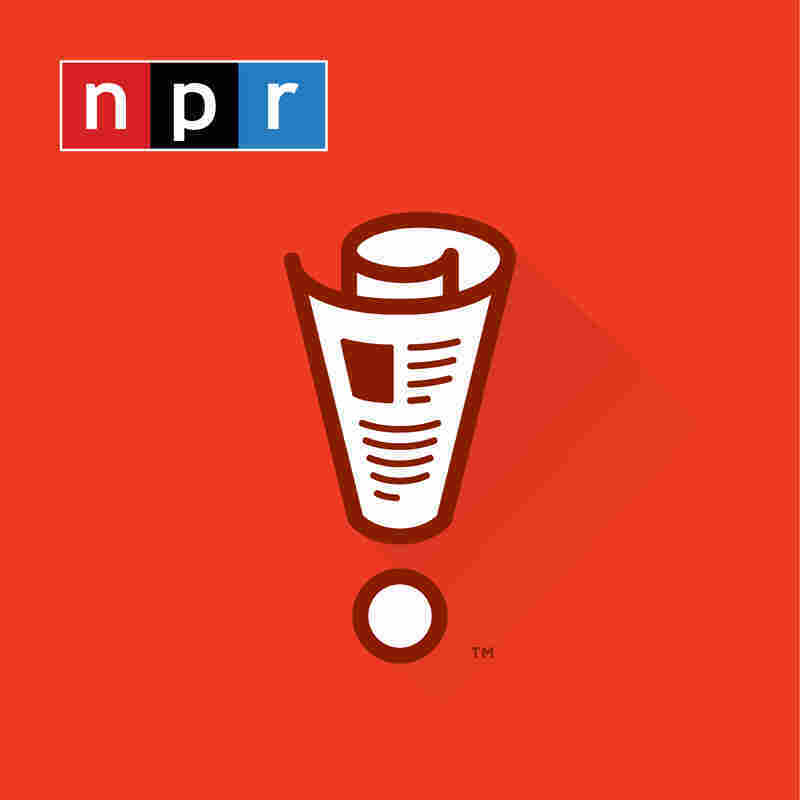 CARL KASELL, host: Hell no, we won't do whatever it is you want us to do. SAGAL: So your band, The Decemberists, is named after a short-lived rebellion in the Russian Army in the 1820s, against the chosen successor to the Czar. Did you know that? Anyway, we were thinking, fine, that's an obscure protest. But what do you know about other obscure protests? SAGAL: Answer two out of these three questions right, you'll win out prize for one of our listeners, and maybe have a name for your next band. Carl, who is Colin Meloy playing for? KASELL: Colin is playing for Ingolf Noto, of Portland, Oregon. SAGAL: Here we go. Ready to play for Ingolf? Here we go. First question: in Britain in 2008, a protestor named Dan Glass fought the expansion of Heathrow Airport by doing what? Was it A: gluing himself to Prime Minister Gordon Brown? SAGAL: B: Changing his name to "Heathrow Is Quite Big Enough Already Don't You Think Glass"? Or C: going on a Cadbury Chocolates only fast until the expansion was defeated? MELOY: Oh man. I'm going to go with the changing the name. SAGAL: Changing the name to "Heathrow Is Quite Big Enough Already Don't You Think Glass"? SAGAL: Actually, he glued himself to Prime Minister Gordon. SAGAL: He was invited to accept an award from the Prime Minister for his activism, in fact, and as he shook his hand, he had put a big glob of superglue on it. And his hope was that he would superglue himself to the prime minister. And it didn't work. The prime minister was just too slippery. SAGAL: All right, still two more chances. Next question: when a British theme park opened an evil clown-themed ride called "Carnival of Screams" last year, the theme park was protested by whom? A: a group of children who were not taller than this sign? SAGAL: So couldn't ride. B: actual clowns, who marched because they wanted to show that not all clowns are evil? Even though they are. SAGAL: C: a group of people who went on the ride, claimed they did not scream once and deserved a refund? MELOY: You know, I'm going to go for the middle one again. MELOY: Yeah, the clowns kind of get a bad rap and they would probably not be into that. SAGAL: You're right, it was the clowns. SAGAL: Lastly, this is exciting, because if you get this one, you win. Here we go. This is a celebrity protest. In order to help save the rainforest, movie star Harrison Ford once did what? A: chased away loggers with a giant boulder. SAGAL: B: financed and starred in a documentary about deforestation? Or C: had his chest waxed? MELOY: I'm going to go for B again. SAGAL: That would be so sensible? MELOY: Right. No? No? No? C? Really? SAGAL: They're all making C signs at you. MELOY: All right, I'm going to trust the Portland audience here and go with C.
SAGAL: Having his chest waxed? SAGAL: You're right, that's what he did. SAGAL: Harrison Ford did, in fact, a video for the group Conservation International. It shows him getting his hairy chest waxed while he says, quote, "Every bit of rainforest that gets ripped out over there really hurts us over here." SAGAL: Carl, how did Colin Meloy do on our quiz? KASELL: Colin did very well, Peter. Two correct answers, so he wins for Ingolf Noto. 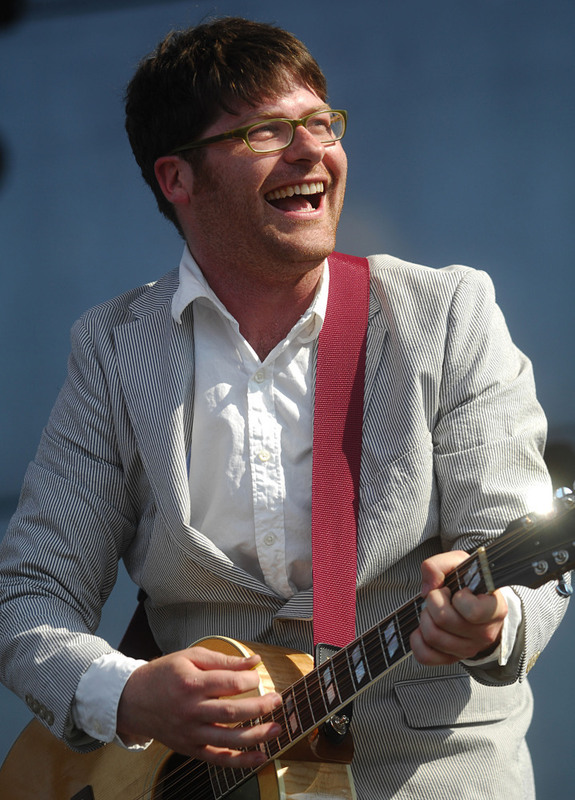 SAGAL: Colin Meloy is a member of The Decemberists, my favorite band, and the author of the new book, "Wildwood." Colin Meloy, thank you so much for joining us.